Is That Standing Desk Actually Improving Your Health? Standing desks were all the rage a few years ago when study after study was released documenting the harmful effects of sitting all day. These studies found that life in an office chair can increase the risks of diabetes, hypertension, certain types of cancer, anxiety, and early death. Naturally, people wanted to do something about it, and standing desks filled the need. And all was well – until the recent release of some new research. This research, a review of nearly 50 studies on standing desks, found that standing during work isn’t quite all it’s cracked up to be. While standing all day does burn more calories than sitting, it only burns around 54 extra calories for every six hours of standing – about the equivalent of an orange or a slice of bread. Though 54 calories doesn’t seem like a lot, it adds up to around 5 1/2 pounds of weight loss per year. Over 4 years, that’s about 22 pounds. It’s not exactly a crash course in weight loss, but it’s marginally better than sitting all day. There are more ways to get out of the office chair than buying a standing desk. For example, many office workers move around for at least a couple of minutes every hour. This is a much more productive practice that’s been linked with a lower risk of premature death and a significant calorie burn. In recent study done in Utah and Colorado, researchers observed 3,600 adults to understand how movement affects people’s risk of premature death. Compared with people who sat all day, those who moved around for just 2 minutes every hour had a 33% lower risk of dying prematurely. 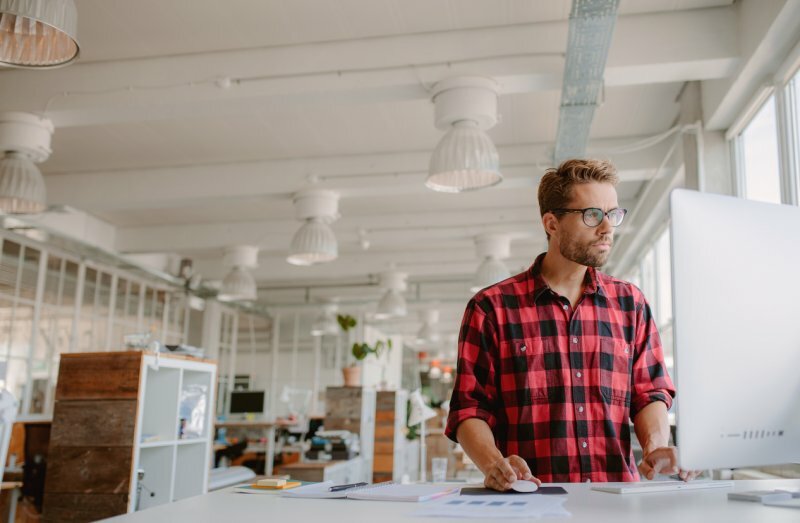 While standing desks are not a perfect solution for fixing sitting-related health issues, they are a step in the right direction. In fact, people who use standing desks tend to move around the office more anyway. The bottom line is this: if office workers want to feel better, they need to move around a bit. It can only help.